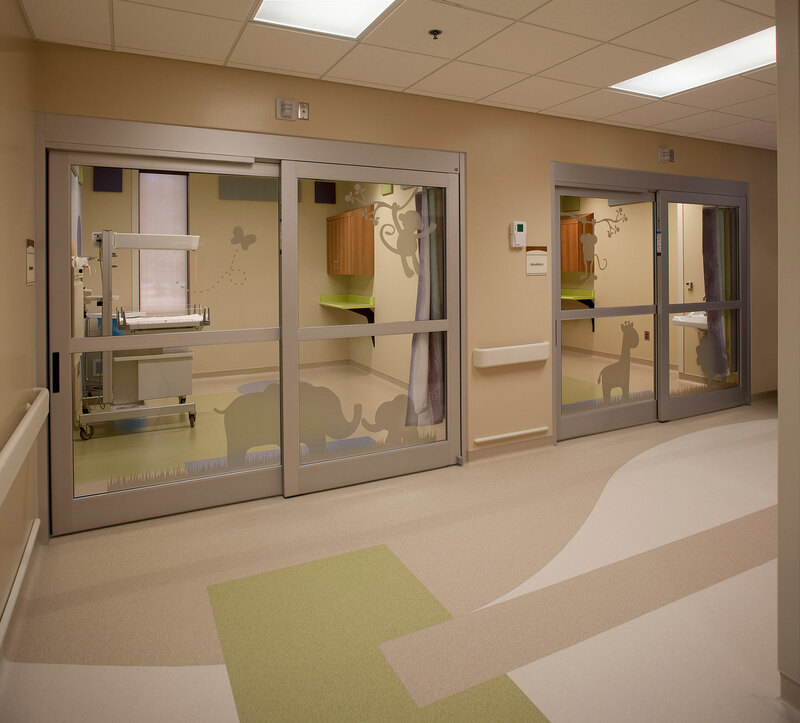 At Rockdale Medical Center’s 20-bed neonatal intensive care unit (NICU), mothers and newborns beneﬁt from a comfortable, uplifting place to receive specialized, state-of-the-art individual care. Inner Design Studio’s design concept focused on creating whimsical spaces within the client’s requested color scheme of periwinkle, granny smith green and sky blue. 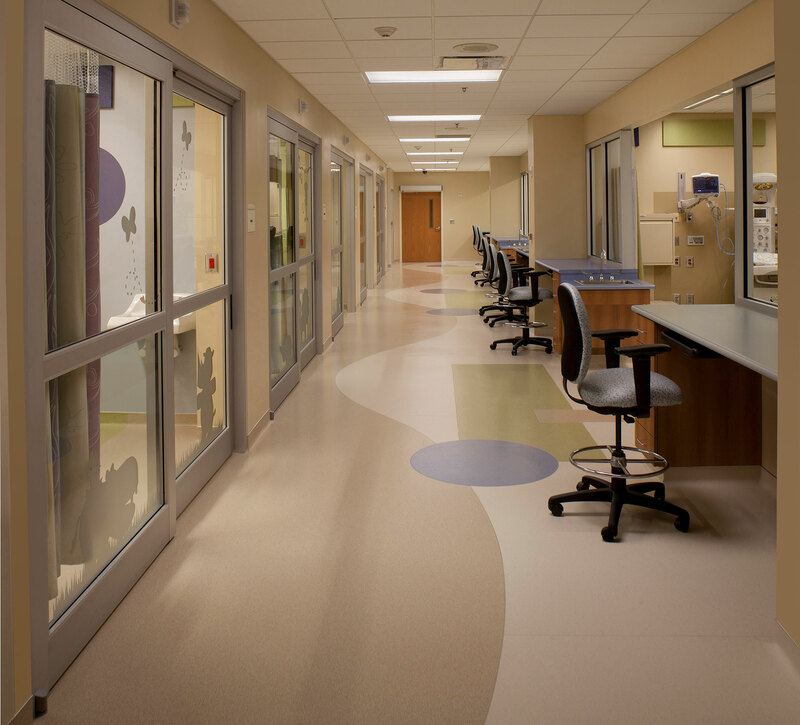 The playful color combination allowed designers to use creative mixtures of patterns, shapes and design materials throughout the NICU area. Anchoring the design, vibrantly colored sheet vinyl was arranged in rectangular and circular patterns to create a unique flooring that also serves as a wayfinding tool for visitors and staff. 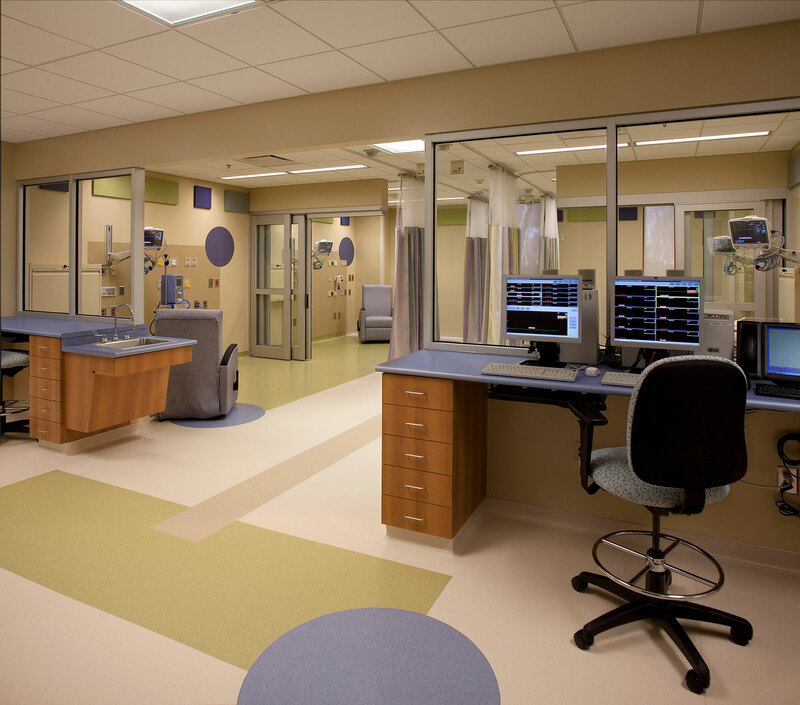 Complimenting the playful floor, periwinkle and granny smith green laminate countertops were chosen to highlight natural colored cherry cabinets in patient rooms and nurse’s stations. 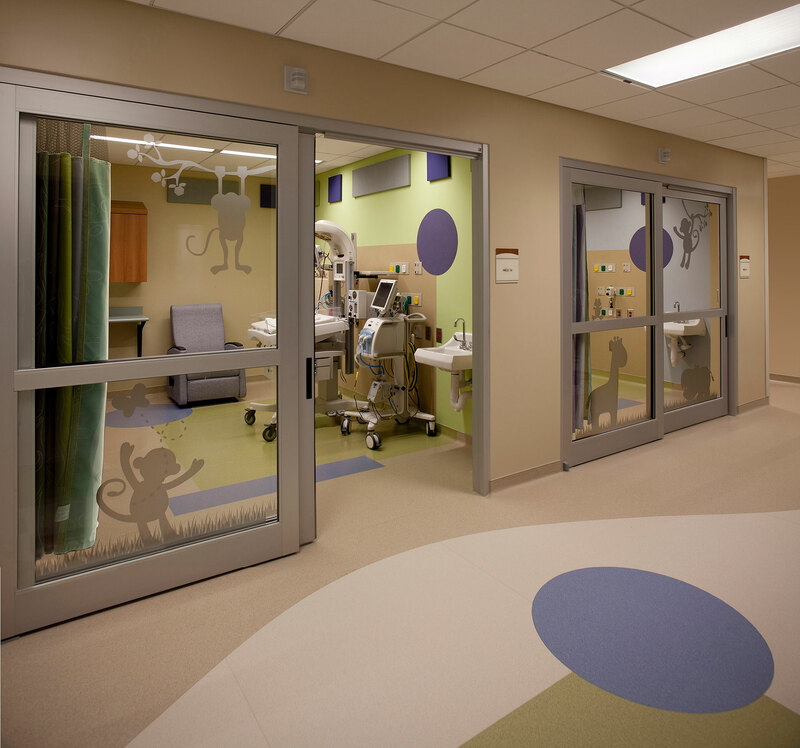 Adding further visual interest to each patient room, designers installed custom isolation doors with frosted glass silhouettes of baby giraffes, butterflies, monkeys and elephants. Inner Design created custom deep purple and light gray wall panels and circular headwall panels wrapped in acoustic fabric to soften noise disturbances in patient and overnight guest rooms.